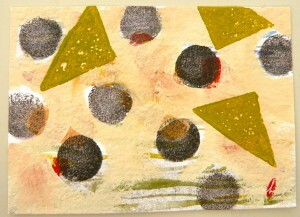 The triangles are printed with make up sponge and the circles are printed with the sponges on sticks used for stencils. 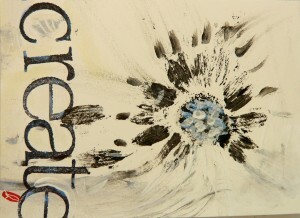 "Create" is stamped with rubber stamps. 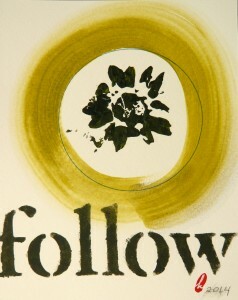 "Follow" is a stencil. The flowers are wild sunflowers that grow in our front yard. 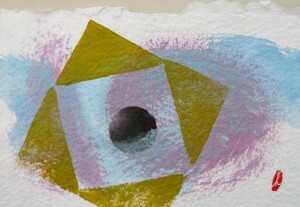 I printed them with acrylic ink.